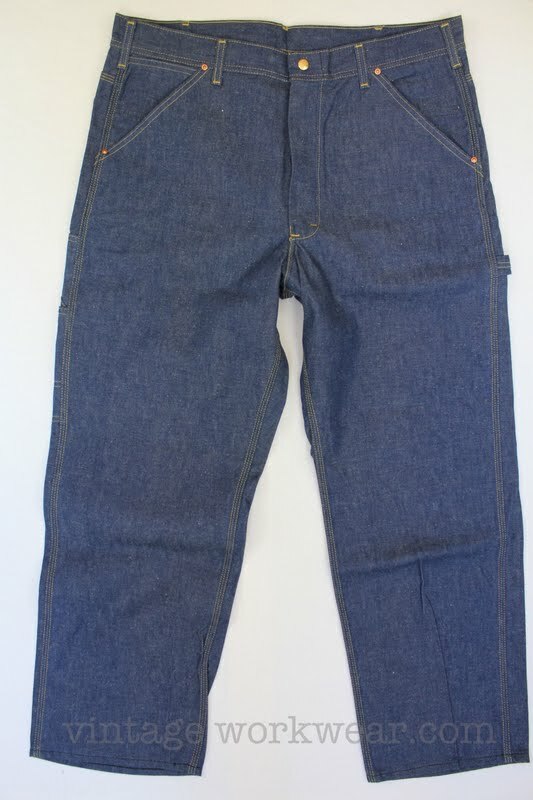 Dungarees, Lot 050-6041 Made in USA. 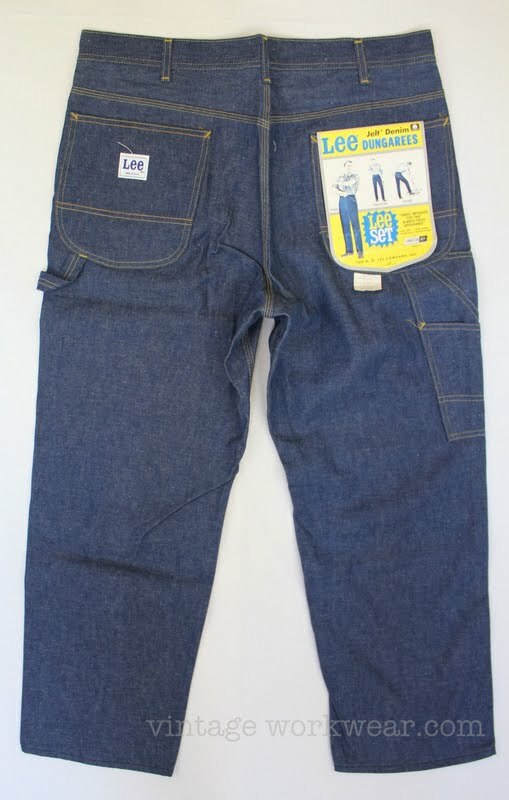 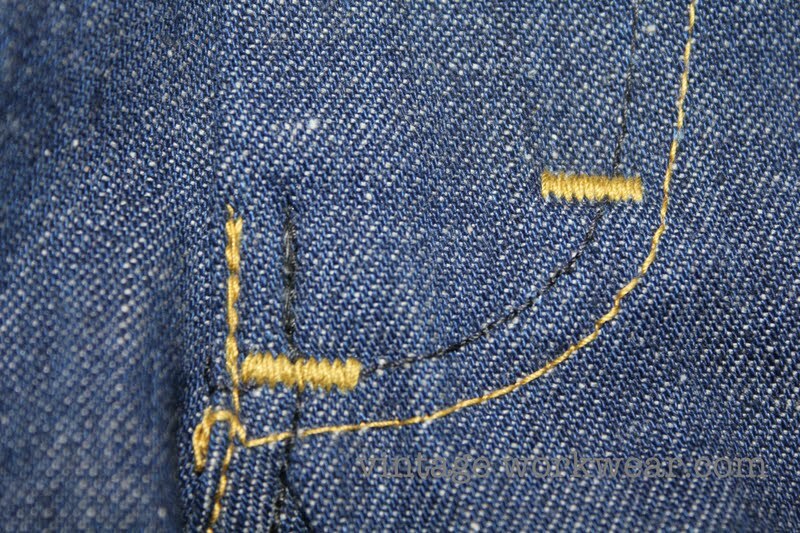 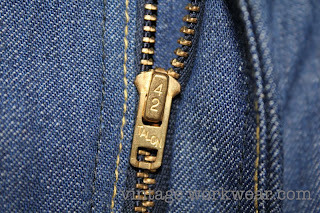 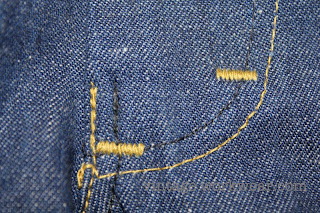 Backside of pocket flasher seen inside of back pocket, also United Garment Workers of America AFL-CIO union label. 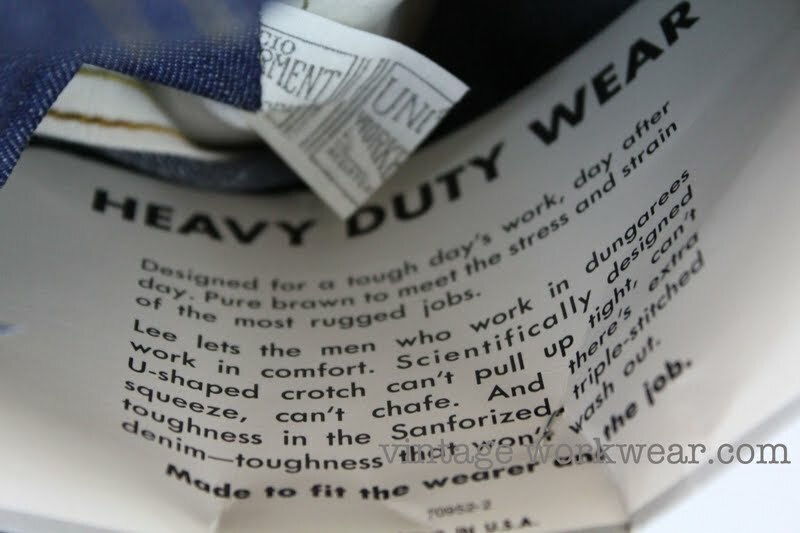 I particularly like the opening portion of the description that reads "Designed for a tough day's work, day after day. Pure brawn to meet the stress and strain of the most rugged jobs." 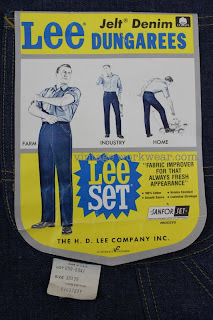 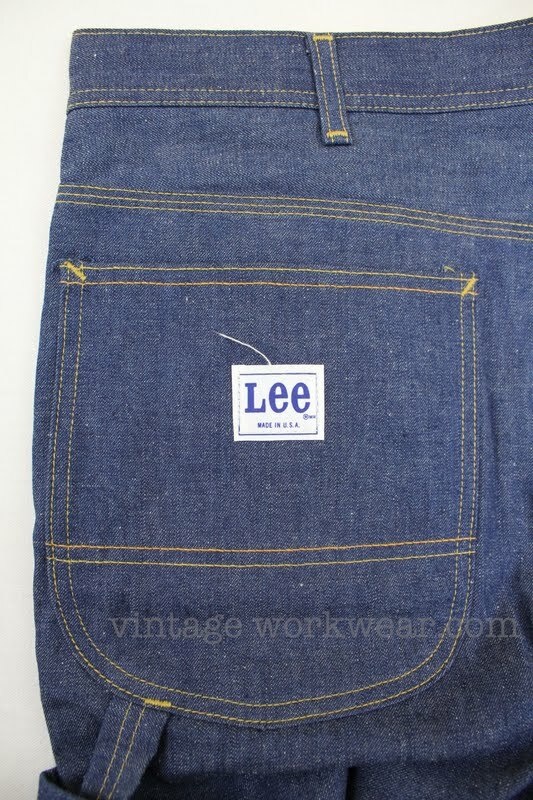 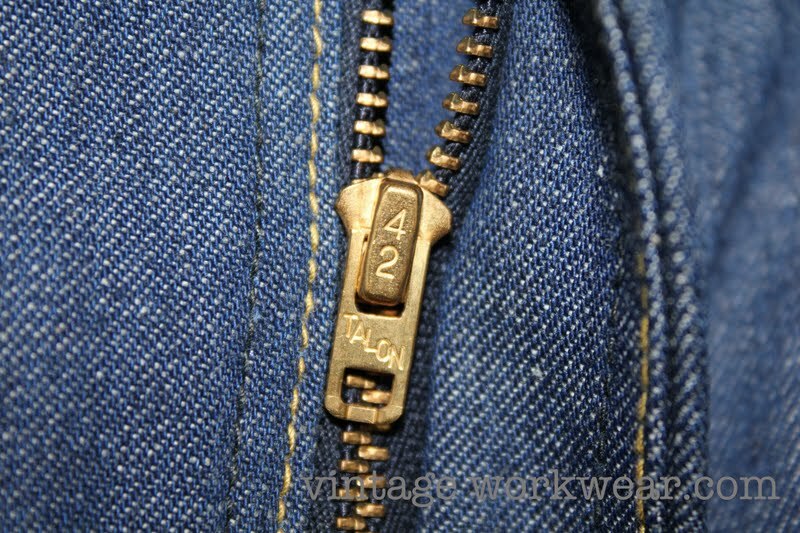 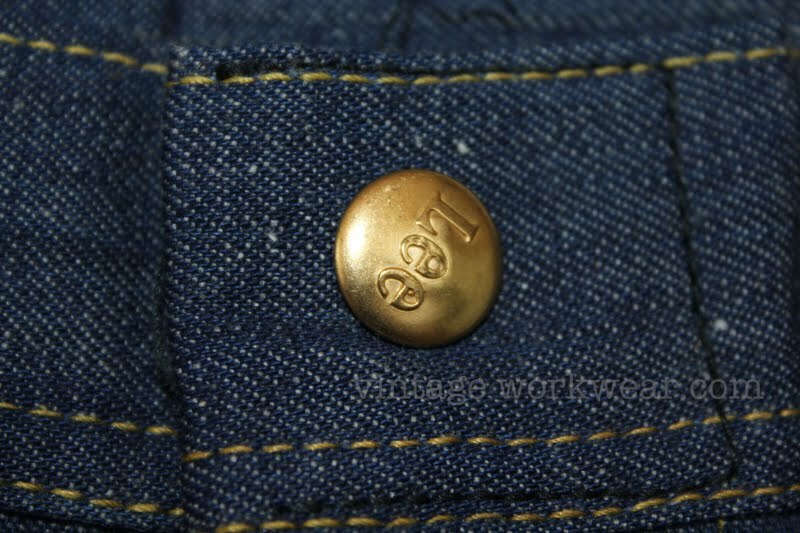 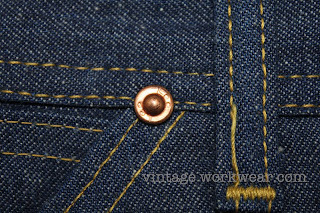 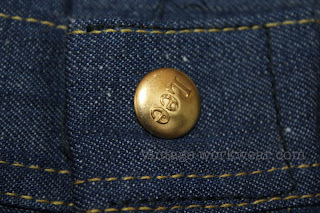 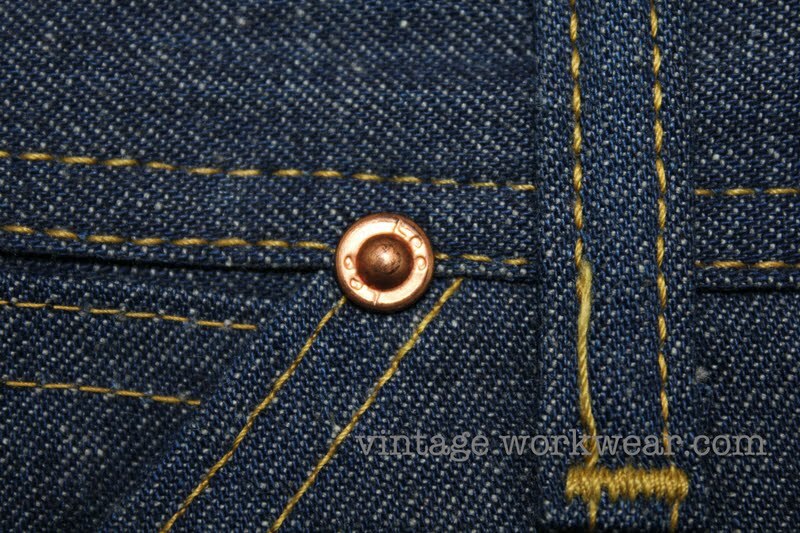 Nice, Honestly I like lee products as much as levis.Even the repro Some of the lee repros are amazing I have a nice railroad coat and 1936 cowboy Lees with the cow hide leather tag. I love everything I used to be, and I like this pants very much, thank you.